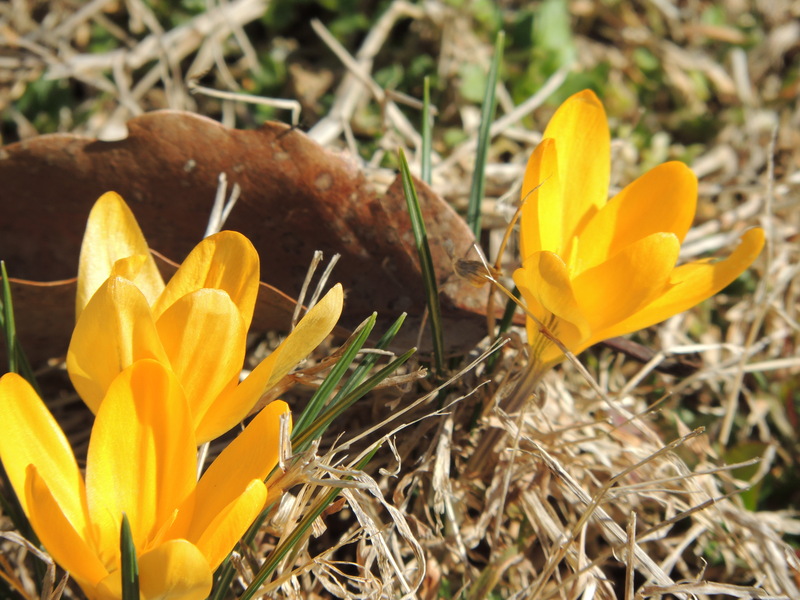 Before these precious little crocuses in my yard get squashed by the 6 to 12 inch snow the forecasters say is coming, I wanted to share them with you. Spring is coming…the flowers and budding trees and green grass and warmth on our faces. I have to tell you, I’m not a big snow fan, but I know complaining and moaning about it will only make it worse. So I’m going to focus on what I know is ahead, past the other side of the wet stuff. This entry was posted in Christianity, Faith, Family, Life, Love, Music, Photography and tagged flowers, Hope, joy, seasons, Snow, Spring, Steven Curtis Chapman by lyonsroarforgod. Bookmark the permalink.